Building an underground metro in one of the world's most crowded cities is no easy task but Mumbai has taken up this challenge. For the Devendra Fadnavis government, the project is a matter of prestige and the chief minister's office is monitoring the progress closely as work goes on round the clock. Tunnels are being constructed under religious sites, slums, skyscrapers and water bodies as well. Twenty-two metres below the surface, Mumbai is undergoing a huge transformation as huge tunnels are being dug for the metro trains to pass through and crisscross the city via some of its most densely populated areas. As life goes on above, the tunnel-boring machines keep cutting through the rocks, creating a path for the trains to run in future. Line 3 of the metro consisting of 26 underground stations is Mumbai's biggest and most challenging infrastructure project till date. The 17 giant tunnel-boring machines are drilling away all day, cutting through Mumbai's underbelly and laying the foundation for what will transform the way Mumbai commutes. The packed commuter trains put huge stress on people living in the city and travelling to work. The metro will considerably change the way the city commutes and take it to world-class levels. The 33.5 km-long corridor running along Colaba-Bandra-SEEPZ (an industrial zone) will decongest traffic situation in Greater Mumbai. The machines have to cut through hard basalt rock, making it even more challenging. To tackle a project of this magnitude, the government chose Ashwini Bhide to helm the project, a woman who aced the civil services exam and has handled some of Mumbai's biggest infrastructure projects. "52 km of tunnelling in a city like Mumbai is mindboggling. Then we have 26 underground stations to build and most of these stations are in congested areas below the roads. If you see Delhi, most of the stations are off the roads and it gives you a lot of flexibility to plan your construction but when your station is below the road you also have to take care of the traffic above. 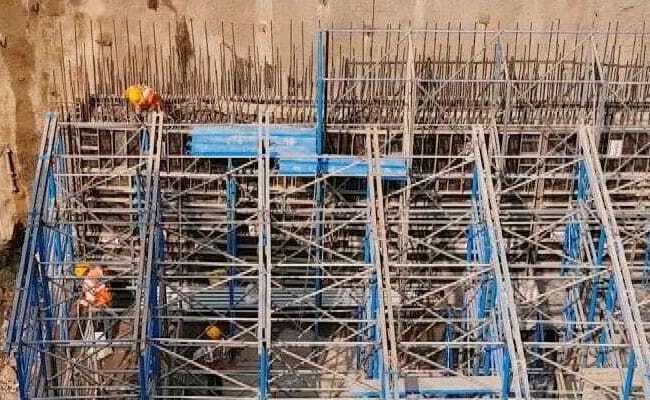 You also have to take care of the buildings adjacent to the tunnel," Managing Director of the Mumbai Metro Rail Corporation, Ashwini Bhide, told NDTV. The underground trains will connect the crowded western suburbs and the airport to south Mumbai. In the process, it will pass through slums like Dharavi, heritage precincts and business districts like Bandra-Kurla complex and Prabhadevi. The last station in south Mumbai is the upmarket Cuffe Parade. Once the project is complete, a commuter can get on to the train at a slum area like Dharavi or a business district like Bandra-Kurla Complex that is home to consulates and financial companies and reach the posh Cuffe Parade in south Mumbai in air-conditioned comfort, avoiding the traffic and heat. But the construction faced major challenges in a city that is overcrowded and space is premium. In some places, buildings have had to be brought down to facilitate construction. 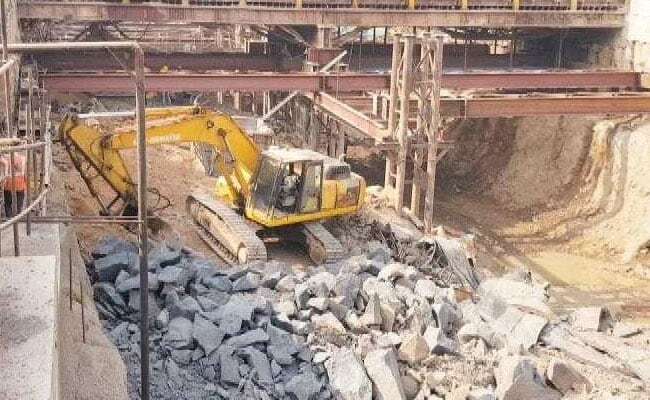 Citizen groups have gone to court against the metro authorities for cutting trees, tunnelling under religious shrines and construction related noise. As tonnes of muck have to be moved out every day as the tunnel-boring machines go about their job, the metro authorities are ensuring there are no delays by addressing these issues legally and responding to citizens directly as well. While environmentalists have accused the metro of eating up a forest and cutting trees illegally, Mumbai's Parsi community objected to the work below fire temples and holy wells. Ashwini Bhide said misinformation is responsible for the protests and litigations, and her team is reaching out to all stakeholders and assuring them all concerns including environmental ones have been addressed. She insisted that trees are being replanted and there will more trees planted than cut, once the project is over. Commenting on construction under fire temples and other religious sites, Ms Bhide said, "We are going below ground to save their heritage nature, and it's not that just one religious structure is affected. We are going below temples, churches and mosques. And in none of the cases we are going below the sanctum sanctorum." Nearly 17 kilometres of tunnels have been built and almost 700 metres of tunnels are being added every day. The machines doing the job are from the US, Australia and China.